Sweet birch extract. I made this extract with fresh, wildcrafted sweet birch and 100 proof alcohol. 5 drops is a good start. Use plain or in 2 fl oz water. I make these extracts in small batches. The sweet birch I used in this extract was harvested from an area I know isn't sprayed with chemicals. 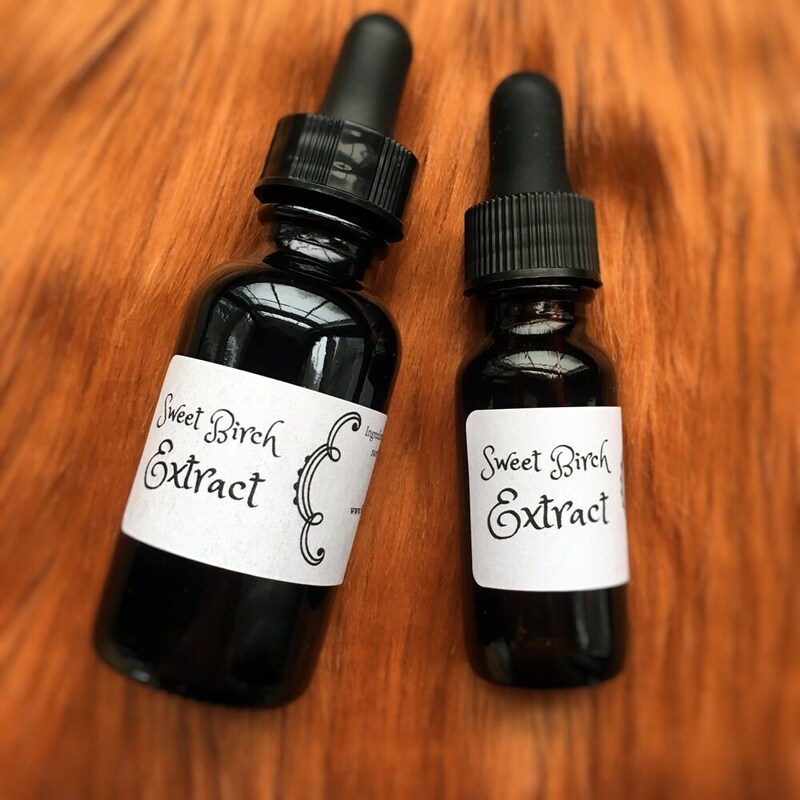 Extracts are also known as tinctures. Sweet birch is aromatic with wintergreen like qualities. Sweet birch is traditionally used for pain.